Mitchell had originally been accepted to attend Samford University in Birmingham, Ala., while his twin brother, Albert, was offered a scholarship to play UT Martin football. Albert visited the UT Martin campus as a high school junior, and Donald came along for the ride. But, as luck would have it, Albert ultimately signed with Samford University and Donald, in an unexpected twist, fell in love with UT Martin and the wildlife biology program. Mitchell started off in the wildlife biology program, but the road took another turn when he discovered a stronger love for business and changed his major accordingly. 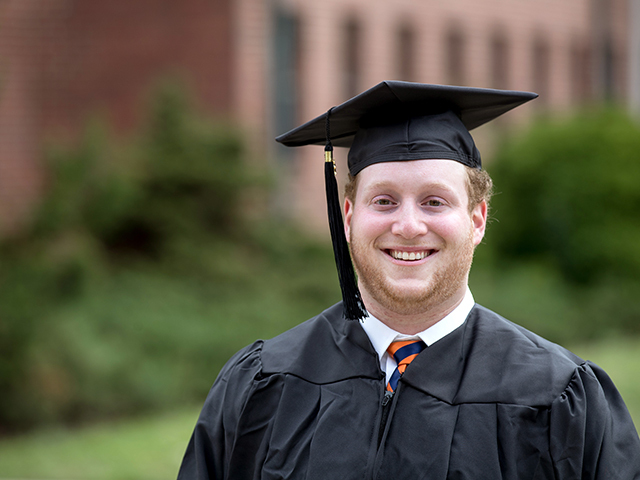 He will graduate May 6 with a bachelor’s degree in business management with a minor in legal studies. “Transition” may be an understatement, as Mitchell’s first post-graduation experience will be a flight to Alaska and a water landing at the remote Angry Eagle Lodge and Outfitters in the Bristol Bay region. Mitchell will serve a once-in-a-lifetime five-month internship with the lodge, where his skills as both a businessman and an outdoorsman will be put to the ultimate tests. Mitchell ultimately hopes to return to Tennessee and start a human resources career in the health-care industry. Mitchell also offers a few parting words of advice to the students remaining at UT Martin, including the admonition to remain true to yourself, even when it may be the unpopular choice.